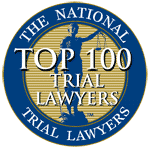 Personal Injury Archives — Aiello, Harris, Marth, Tunnero & Schiffman, P.C. When you meet with your Woodbridge personal injury attorney, you discuss many subjects. We want you to tell us about how your accident happened, the injuries you sustained, and how you are coping each day. Our experienced NJ lawyers want to hear about the expenses you incurred because of the accident and the money you lost because you could not work. We also answer your questions about the process for filing a personal injury claim, attorney’s fees, and recovering compensation for your losses. There are certain things that you might not think are important to tell our Woodbridge attorneys during your initial consultation. However, some of this information can have a substantial impact on your personal injury case and your ability to recover full compensation for your damages, injuries, and losses. If any of the situations below apply to you, we want you to tell us as early in your case as possible. The fact that you were injured or were involved in a prior accident does not mean you cannot receive compensation for the current claim. However, the insurance company for the other party may try to use this information to deny your claim or undervalue your claim. It is better to tell your attorney so that he can face the argument head-on instead of being blindsided by the other side. If you are separated or in the middle of a divorce action, tell your lawyer in Woodbridge NJ. Your spouse could claim a portion of your settlement or be called as a witness. An angry spouse may not be who you want in court testifying for the other side. A substantial portion of your settlement could be reimbursement for lost income. If you have unreported income, you could receive less money for your claim. You need to discuss issues related to unreported income with your attorney as early as possible in the claims process. A pending bankruptcy case can impact your personal injury claim. Some funds may not be exempt from bankruptcy proceedings. If you decide you need to file bankruptcy before your claim is settled, tell your injury lawyer before filing. A criminal record does not prevent you from filing a personal injury lawsuit nor recovering money for a personal injury claim. However, a criminal record could impact your claim if the case goes to trial. As with prior accidents, it is best to tell your attorney now, so he does not hear about it for the first time during the trial. If your Medicaid or Medicare coverage pays any medical expenses related to the accident, the agency could place a lien on your settlement proceeds. You want to address this matter early in your case instead of receiving notice after the case is closed that you owe thousands of dollars to the government. If you have been injured in an accident, you need a team of legal professionals on your side to fight for your legal rights. Our Woodbridge personal injury law firm handles a large variety of cases involving injuries. For a free consultation with a car accident attorney in Woodbridge NJ, contact Aiello, Harris, Marth, Tunnero & Schiffman, P.C at (908) 561-5577. We are here to help you when you need the support and guidance of a compassionate, experienced NJ lawyer. Fatalities in car crashes are tragic and often unnecessary. Driver error is often the main contributing factor in many fatal accidents. At the end of 2017, two people lost their lives and six people were injured in a multiple-car crash on Route 440 in Edison Township. The seven-car accident took place on SR 440 near Woodbridge Avenue. While the crash was being investigated and cleared, several lanes were closed causing slowdowns on the New Jersey Turnpike and SR 287 and 440. According to a news report to the Woodbridge Patch, a father from Old Bridge died in a parking lot accident in South Amboy. The man was picking up his child from the South Amboy YMCA’s after-school program when a vehicle struck him. The man was putting his child into their vehicle at the front of the YMCA when another vehicle ran into them. A representative for the Metuchen, Edison, Woodbridge and South Amboy YMCA confirmed that the man died because of the accident. After the accident, the victim was airlifted to the Robert Wood Johnson University Hospital in New Brunswick. The Middlesex County Prosecutor’s Office confirmed that he was pronounced dead at the hospital. His daughter suffered injuries, but those injuries were not life-threatening. The exact cause of the parking lot accident was not known at the time of the news report. The Mayor of South Amboy speculated that the driver of the vehicle might have lost control if his brakes failed on the steep hill that leads to the YMCA. However, the County Prosecutor’s office said the information was premature and unconfirmed. The Middlesex County Prosecutor’s Office and the South Amboy Police Department continue to investigate the cause of the accident. It is estimated that more than 50,000 parking lot accidents occur each year in this country. These accidents result in more than 60,000 injuries and 500 deaths each year. 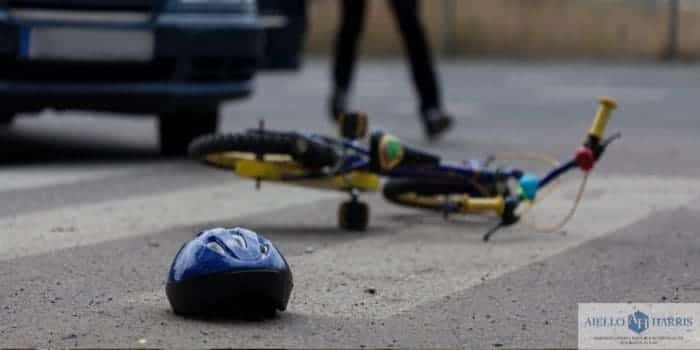 When we think about a pedestrian accident, we tend to imagine accidents that take place when pedestrians are crossing the road or walking beside a road. However, it is important for drivers and pedestrians to remember that parking lot accidents can be very dangerous for pedestrians. Slow down – Speeding through a parking lot increases the risk of an accident. Avoid distractions — One of the most common causes of parking lot accidents is distracted driving. Look and look again — Before backing of a parking space, look behind your vehicle, check all mirrors, and turn your head again to ensure there are no pedestrians in your path. Use turn signals — Pedestrians and other drivers cannot read your mind. Use signals to indicate when you intend to park or turn in a parking lot. Avoid distractions — You also need to avoid distracted walking. Do not use your telephone or another electronic device while walking. Look and look again — You must also be very aware of your surroundings and watch for drivers who may not be looking for you. Turn on a light — If you are walking through the lot at night, turn on a flashlight app on your phone to make yourself more visible to drivers. Drivers and passengers should be careful in all parking lots. However, if you are in a high traffic parking lot like the Woodbridge Center parking lot or lots where children may be present, such as the Fords Park parking lots, be extra cautious. If you have been injured in a traffic accident in South Amboy area or Middlesex County, please contact the top-rated personal injury lawyers at our Woodbridge, NJ office by calling (908) 561-5577 or use our online contact form to request a free consultation with an attorney at Aiello Harris Law Firm. From our office in Woodbridge, we assist clients throughout Middlesex County, including the residents of South Amboy. Source: “Victim Killed Buckling Child In Car In South Amboy YMCA Crash.” Carly Baldwin. Woodbridge Patch. 30 January 2018. In September 2017, a commercial truck driver under the influence of alcohol crashed into a Hyundai Sonata in the south bound lanes of Route 440 in Perth Amboy. When the large truck rear-ended the Hyundai, the truck jackknifed and hit two other vehicles pushing the SUV into another vehicle. The truck accident killed one person and injured others. The driver of the Hyundai Sonata was transported to Raritan Bay Medical Center. He was pronounced dead after reaching the hospital in Perth Amboy according to the Middlesex County Prosecutor. The truck driver and other drivers were also transported to the hospital for treatment of minor injuries. The truck driver was formally charged with three counts of assault by auto, one count of death by auto, and driving under the influence of controlled substances. The driver has pleaded guilty and is expected to serve seven years in prison for the charges. The sentencing hearing is scheduled for May 18, 2018, in the Criminal Division of the Middlesex County Superior Court located on Paterson Street in New Brunswick. Driving while impaired by any mind-altering substance is illegal under New Jersey traffic laws. Prescription drugs, illegal controlled substances, and over-the-counter medications can impair a driver’s ability to drive a motor vehicle safely. Therefore, any of these drugs can result in drugged driving. Drugged driving is just as dangerous as driving under the influence of alcohol because drugs can impair the driver’s balance, coordination, reasoning, perception, and reaction time. When a driver is under the influence of drugs, the driver’s hand-eye coordination is reduced, and his ability to focus and pay attention to the road is impaired. Therefore, a drugged driver is at a higher risk of being involved in an accident. The driver is a danger to himself and all others on the road. Who is Liable for a Drugged Driving Truck Accident? Law enforcement officials throughout Woodbridge and Middlesex County aggressively enforce drugged driving laws. As mentioned above, drugged driving is illegal. The truck driver in the accident above was charged with and plead guilty to driving under the influence of controlled substances. However, this is a criminal charge. To hold the truck driver liable for personal injury damages, the accident victims must file a civil case against the driver. 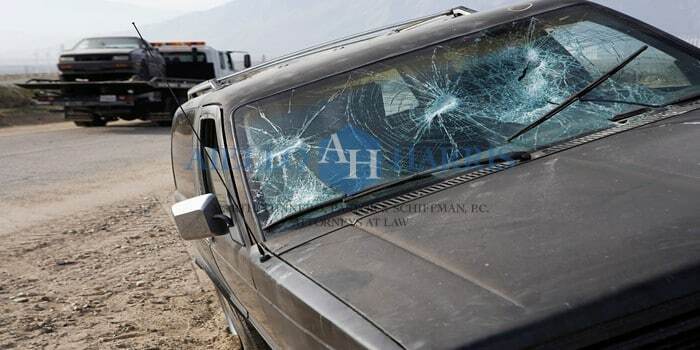 Unfortunately, most truck drivers do not have substantial assets to pay a large personal injury claim. Therefore, you need to identify other parties who might be liable for the accident in addition to the truck driver. For example, trucking companies are required to conduct random testing for controlled substances for their drivers. If a company fails to conduct tests in accordance with FMCSA regulations, the company might be liable for damages if its driver causes an accident. Call a Woodbridge Truck Accident Lawyer? An experienced Woodbridge truck accident attorney understands how to investigate commercial truck accidents to identify liable parties. Large truck accidents are complex. You need an attorney with experience handling these types of claims to protect your interests. If you have been injured in a big rig accident, we want to help. Call Aiello, Harris, Marth, Tunnero & Schiffman, P.C at (908) 561-5577 or use our online contact form to request your free consultation with an accident attorney in Middlesex County. Our law firm has an office in Woodbridge that serves all of Middlesex County, including Perth Amboy. Source: “Truck driver cuts plea deal in fatal crash on Route 440.” Craig McCarthy. NJ Advance Media. 08 February 2018. Last month, a teenage girl tragically lost her life, and over 40 individuals were injured, including over two dozen police officers, at an apartment building in Perth Amboy. The three-story apartment building was evacuated after police responded to a call about an unconscious person. Several victims were light-headed or unconscious. According to one news report, the matter is under investigation for possible criminal charges because several carbon monoxide detectors were allegedly not working. In addition to criminal charges, the person or parties responsible for this tragic accident could be held personally liable for damages. A property owner has a duty to take reasonable steps to provide a safe environment, including the owners of apartment buildings. Depending on how you were injured, an apartment building’s owner, the landlord, or another tenant could be liable for your injuries and damages. If you have been injured in an apartment building, you need an experienced premises liability attorney to investigate your claim. It is vital that you identify the responsible parties correctly. You can only recover money for your personal injury claim from the party or parties liable under New Jersey’s premises liability laws. To be held liable for damages, a property owner, landlord or tenant must have been negligent or involved in wrongful conduct. In most premises liability cases, negligence is defined as failing to take actions that a reasonable person in the same situation would take or taking actions that a reasonable person would not take. In most premises liability cases involving a landlord or building owner, the liable party failed to do something. In the above case, the liable party could have failed to maintain appliances or replace malfunctioning carbon monoxide detectors. The exact cause of the carbon monoxide poisoning can only be determined after a thorough investigation. Duty of Care — The responsibility of the property owner to maintain safe premises. The level of the duty of care changes depending on the relationship between the owner and the injured victim. Breach of the Duty of Care — A breach of the duty of care could result when an owner fails to make repairs or perform general maintenance. Causation — There must be a direct relationship between the hazard or dangerous condition and the accident that caused your injury. In other words, the accident caused by the hazard resulted in your injury. Damages — Damages include physical injuries, financial losses, emotional suffering, and physical pain. The amount of damages depends on several factors. An experienced Woodbridge personal injury attorney will calculate the value of your claim based on the facts and circumstances in your case. If you were injured while on another person’s property, you could be entitled to compensation. Because a premises liability claim can involve complex issues and questions of law, we urge you to contact our office to discuss your claim as soon as possible. Contact Aiello, Harris, Marth, Tunnero & Schiffman, P.C by calling (908) 561-5577 or by using the contact form on our website to schedule your free consultation with a Woodbridge injury lawyer. “Teen Dead, 41 Hurt By Carbon Monoxide In Perth Amboy Apartments.” Tom Davis. Woodbridge Patch. 05-Jan-2018. When you are driving, one moment’s lapse in judgment can cause a car to crash, a truck to spill, or a motorcycle to fall. Even a low-speed crash can cause catastrophic injuries or death. While many accidents are the result of other people’s reckless actions, you can control your behavior behind the wheel. Take into account our safe driving tips to help protect you and your family on the road. Don’t drive while distracted. Driver distractions include texting while driving, using your cell phone, looking at a GPS system, eating or drinking while driving, playing with the radio, and grooming yourself. Distracted means that both hands are not on the wheel, you’re not focused on the road in front of you, and you’re not ready to react if an emergency occurs. Cars going 60 mph are going 88 feet per second. A lot of tragedy can occur in 88 feet. Don’t drive while intoxicated. Drunk driving is a well-known cause of fatal accidents. If you feel the need to have a beer or a glass of wine, arrange to take alternate transportation or to have a designated driver. Use a seatbelt. Seat belts help keep you in position if a car accident happens. Many people get seriously hurt when they bounce into other passengers or are forced into the windshield, dashboards, or the sides of the car. Drive for road and weather conditions. Just because the law allows you to go 65 mph on a road does not mean you must go that speed. If traffic is backed up, the roads are bad, it’s raining, or there are other present dangers slow down to a speed that is safe for the current traffic conditions. 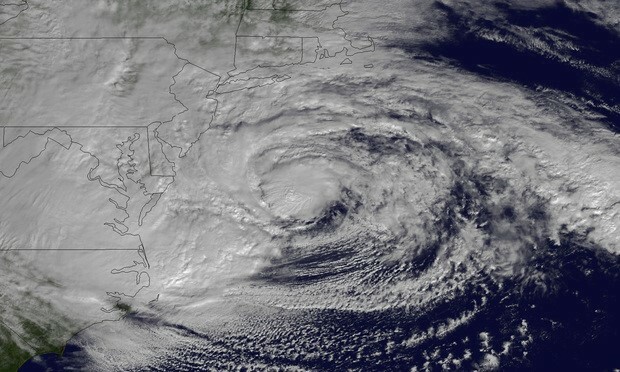 Be ready for bad weather. Drivers should understand how to drive, how to stop, and when to get off the highway if it is raining, snowing, too sunny, foggy, or if the weather makes it difficult to see and navigate your car for any reason. Don’t drive if you’re sleepy. Truck drivers are required to get off the road if they are tired. Car drivers and motorcycle drivers should get the rest they need, too. Driving while fatigued slows your reaction times and impairs your judgment. You may even fall asleep behind the wheel. Drive defensively. It’s better to avoid the accident than to have to go to court if a crash causes harm. Don’t tailgate. Be extra-aware of cars whenever you change lanes or merge. Let speeding cars pass you. Be aware of escape possibilities such as shifting lanes or pulling off to the shoulder of the road. You should also prepare your car before the trip. Make sure it has plenty of gas, the oil is being regularly changed, the tires are at the right pressure, and that you follow the manufacturer’s inspection and repair recommendations. Work with a reliable mechanic. If possible, it’s best to avoid roads that have a lot of potholes and roads where construction is taking place. If a car, truck, motorcycle, or any vehicle accident happens on any New Jersey road, know that that the New Jersey car accident lawyers at Aiello, Harris, Marth, Tunnero & Schiffman, P.C., are ready to help and answer your questions. We have the experience to guide you through each phase of a vehicle accident from the time of the accident through a trial by jury, if necessary. 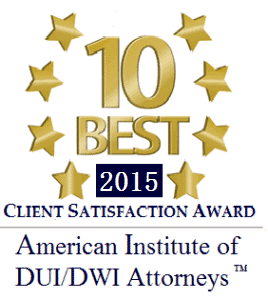 To talk with one of our attorneys, please phone us at (908) 561-5577 or use our contact form. Have you ever ended up in a car accident as the result of a drunk driver? Unfortunately, many people have been in the wrong place at the wrong time when an intoxicated person decided to make the dreadful decision to drive drunk. You may be wondering, “What now?” or even “Can I sue the drunk driver for the pain and suffering they caused me when I innocently was involved in the accident due to their negligence?” We have the legal answers for you! The laws in New Jersey have been designed to protect the innocent victims that become entangled in the poor decisions of a person who decides to drive drunk. First and foremost, YES, the drunk driver can and will be persecuted in a criminal court. Additionally, you have the option to sue the defendant in civil court after the criminal case has concluded. The criminal charges the defendant will face in New Jersey criminal courts will result in imprisonment as well as monetary reimbursement and the results for your civil case are dependent upon the specifics of your personal case. The first type of negligence a court willexamine in your case is referred to as Comparative Negligence. According to the State of New Jersey Department of Banking and Insurance, Comparative Negligence is defined as the way the court regulates the degree of responsibility both persons involved in the accident had on the date of the incident. The Comparative Negligence Act states that auto insurance companies must review the details of the accident and make the final determination of who was responsible for each individual aspect of the accident. Primary reason the accident occurred, i.e. running a stop sign, veering into next lane, etc. The second kind of negligence that will be taken into consideration is called Contributory Negligence. Contributory Negligence is the determination if a person was hurt due in part to their own negligence, in which they “contributed” to their own injury. For example, if a person is driving drunk but the person they hit was already crossing over the separating lane line, the person who was veering, in fact, contributed to the accident as well as the drunk driver. Some states have deemed this doctrine of law unfair and it is not as widely used as the Comparative Negligence doctrine. File a Complaint- The injured party will file a complaint against the accused. Provide Adequate Evidence- The plaintiff is mandated to provide enough credible evidence to prove the damages were directly caused by the actions of the defendant. The plaintiff will ask for either/or compensatory and punitive damages for loss of wage, car repair, medical bills, funeral bill, pain and suffering, etc. This evidence will need to be in the form of doctor’s notes, bills, pictures, report slips, employee certificates, etc. 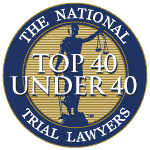 If the driver was killed in the accident, the heirs of the plaintiff will sue for wrongful death and ask to be awarded both compensatory and punitive damages on behalf of the decedent. Defendant is insolvent- If the defendant does not have the means to pay the awarded damages, the plaintiff has all rights to seek payment from the defendant’s employer by making a claim against them if the accident occurred within the scope of duty, or “on the clock”. The employer is then mandated to take into consideration the offense and supervise the employee. If the plaintiff proves the employer did not show proper due diligence, the plaintiff or heirs of the decedent can file suit against the employer. Lastly, the judge will take into consideration all the details and specificities of your case. 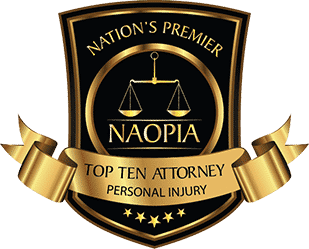 After careful and thoughtful deliberation, and with the right attorney(s), you will be awarded the adequate damages needed to heal properly, regain lost wages, fix and/or replace your car, economic recovery and psychological pain and suffering relief. Do not get left out in the cold if you become the innocent victim of a drunk driving accident. Contact the Law Office of Aiello Harris for your free consultation. We provide experienced counsel to assist you in your legal matters. We will fight for your rights! It is first important to understand what we mean when we discuss “premises liability.” When you suffer an accident either on public or private property that might have been caused by its owner’s failure to keep it in proper condition, this is a premises liability situation. You have a reasonable expectation not to be injured while on someone’s property and you might be entitled to compensation if an accident occurs. Accidents including trips, slips, and falls. This includes accidents occurring because of defective pavement in shopping centers, retail outlets, footpaths and supermarkets. You need to understand that in most cases, only someone who is invited or licensed (like a salesman) to be on the property will be able to seek compensation. A person who is trespassing does not receive similar consideration in most situations. These situations can become complicated and do vary from state to state, so seeking out a qualified New Jersey premises liability lawyer is very important. In a typical premises liability claim, your lawyer first determines who is at fault, who damages and injuries you incurred, and whether you were legally allowed to be on the property. Your attorney reviews medical records, the place where the accident occurred, interviews witness, and gathers all necessary proof to build a strong case. In a typical premises liability case at our firm, your attorney operates on a contingency fee basis – meaning you owe no upfront legal fees and your lawyer only gets paid if he or she recovers money on your behalf. 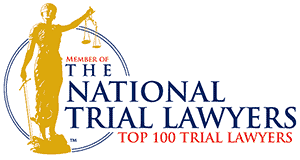 Contact a New Jersey premises liability lawyer at Aiello, Harris, Marth, Tunnero & Schiffman, P.C. at (908) 561-5577 or contact us online at any of our North and Central New Jersey law offices for a free consultation.